I don't know about you guys, but YA movie adaptations are really doing the trick for me lately. I just recently watched The Duff and really enjoyed it, I loved The Fault in Our Stars, If I Stay, etc. 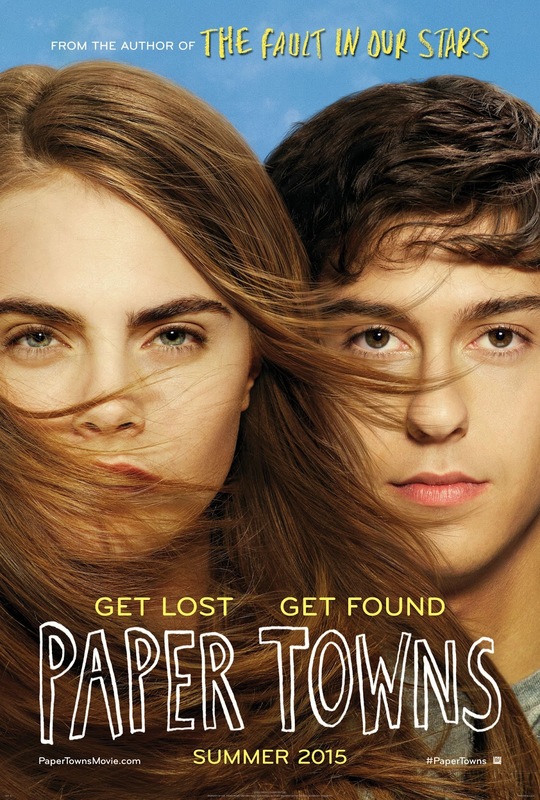 So I'm really excited for Paper Towns! To celebrate, I'm pleased to host a giveaway courtesy of 20th Century Fox! About the Film: Adapted from the bestselling novel by author John Green ("The Fault in Our Stars"), PAPER TOWNS is a coming-of-age story centering on Quentin and his enigmatic neighbor Margo, who loved mysteries so much she became one. After taking him on an all-night adventure through their hometown, Margo suddenly disappears--leaving behind cryptic clues for Quentin to decipher. The search leads Quentin and his quick-witted friends on an exhilarating adventure that is equal parts hilarious and moving. Ultimately, to track down Margo, Quentin must find a deeper understanding of true friendship--and true love. Like Paper Towns on Facebook. And use the hashtag #papertowns in all your important social sharing. So happy to be able to offer a giveaway for one lucky winner in the United States. And $25 Visa to see the film! Just fill out the form below to enter! The giveaway ends July 29.